Set up in 2008, Greater Manchester TreeStation was one of the first tree stations to be established in the UK, and the very first in the North West. (b) the wide scale uptake of sustainable solutions like biomass heating requires a high quality and secure supply. We integrate complementary activities such as treework and biomass production, to provide a fit-for-purpose local infrastructure on a viable scale. As an urban tree station, it acts as a hub for a broad range of wood-related activities, such as woodland management operations, arboricultural work and consultancy. 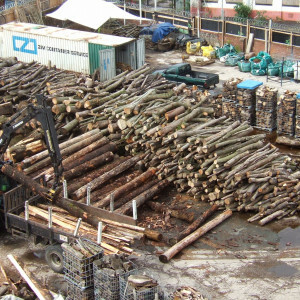 It also provides a local, unique and innovative green solution to wood waste for the Manchester area, and produces a range of quality wood products for the local market, including woodfuels, timber and related products. Above all, the TreeStation is led by strong ethical views, which govern the way the business is run. Sustainability is embedded in the aims of the company. The TreeStation is a not-for-profit organisation, registered as Society for the Benefit of the Community (BenCom), making it both a democratic and accountable business.